Webber RT, del Rio CE, Brady JM, Segall RO. 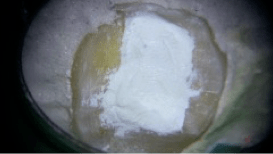 Sealing quality of a temporary filling material. Oral Surg Oral Med Oral Pathol. 1978 Jul;46(1):123-30. Swanson K, Madison S. An evaluation of coronal microleakage in endodontically treated teeth. Part I. Time periods. Journal of endodontics. 1987 Feb;13(2):56-9. Madison S, Swanson K, Chiles SA. 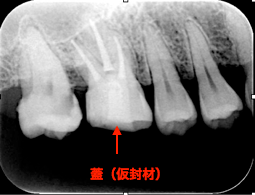 An evaluation of coronal microleakage in endodontically treated teeth. Part II. Sealer types. Journal of endodontics. 1987 Mar;13(3):109-12. Torabinejad M, Ung B, Kettering JD. In vitro bacterial penetration of coronally unsealed endodontically treated teeth. Journal of endodontics. 1990 Dec;16(12):566-9. Vail MM, Steffel CL. Prevalence of Temporary Restrations and spacers; A survey of deplomates of the American Board of Endodontists. Journal of endodontics. Jun;32(6):513-5.